Need an idea of what our camp is like? Watch our previous camp footage! After registering for Camp, please download and sign this waiver which must be completed for Camp Weaver. Bring this form with you to Camp check-in. 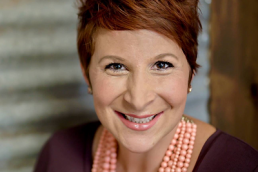 Selah Hirsch is back as a speaker this year, and we are thrilled! Her impact from years ago is still being talked about. She is hysterical and practical, just the way we like it. 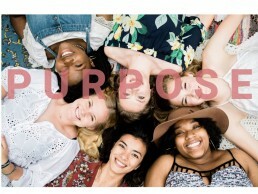 Selah has a strong background in all things Jesus, leadership and empowering youth. It is a treat for us to have her at camp this year and we know God will use her to bring a timely message! 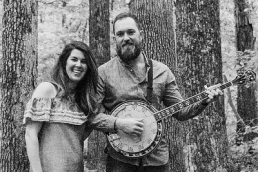 We love our regular musicians Kylie and Jacob, who live in Fayetteville, NC where they moved four years ago to help plant Veritas Church. They regularly lead their congregation in worship and perform in their city to make much of Jesus wherever they are. They have two amazing boys named Levi and Pete. Q: What ages are the girls who attend camp? Q: Can my daughter bring a friend? A: Yes, invite as many friends as you like and point them to our registration page, life is better together! Q: Why aren’t electronics and cell phones permitted? A: We want to create an environment without the distraction of phones and social media. If electronics are brought to camp, there will be a safe place to store them until check-out. Your child will need to bring a physical Bible as phones/tablets are not allowed. If you need to contact your daughter while at camp, an emergency phone number will be provided. Q: Why are outside food/drink not allowed? A: Three balanced meals will be provided per day, and the camp asks that we do not have food in the cabins. Camp is also a nut-free environment. If your child has dietary restrictions, inform us of their needs on the registration form. We will make sure the camp kitchen can accommodate them. Q: Is there transportation available to and from Greensboro airport? A: Yes. If you are traveling by plane please contact kim@truedaughters.org and we will provide transportation. Q: Can I pay for someone to attend camp that would not otherwise be able to attend? A: Yes. On the DONATE section of this website, click on the Donate button to be taken to our donation form. Choose the Camp Scholarship fund from the drop-down box. You can give a full scholarship of $250 or any portion thereof. Send us an email if you want to sponsor a specific child. Q: What if a camper needs to take medicine while at camp? A: We will have a dedicated medical volunteer who will sign the medicine in, keep it locked up, and administer the medication. We provide care for girls who experience a medical issue or need a rest in the infirmary. A: Online registrations can be cancelled with a full refund up to 7 days before Camp begins. You can also transfer a paid registration to another person. However, no refunds will be made less than 7 days before Camp, and no transfers after the day before Camp begins.